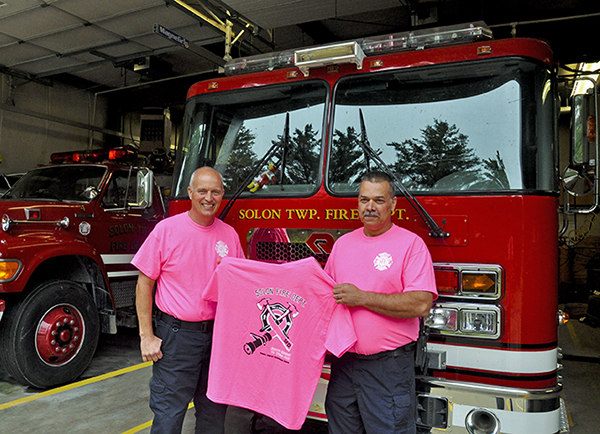 Tag Archive | "Susan G. Komen Foundation"
Would you like to show your support of the Solon Fire Department and breast cancer awareness at the same time? 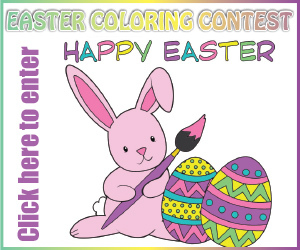 You’ll need to act fast to get in on it. Solon Fire Department is wearing pink in honor of Breast Cancer Awareness Month. Shirts are being sold for $15.00 each with $7.00 per shirt to be donated to the Susan G Komen foundation. Orders with payment (cash only) can be placed at the Solon Fire station thru October 5, 8:00 a.m. to 4:30 p.m., 2305 Nineteen Mile Road NE, Cedar Springs, MI 49319. Shirts can be picked up at the station after 10-12-18. 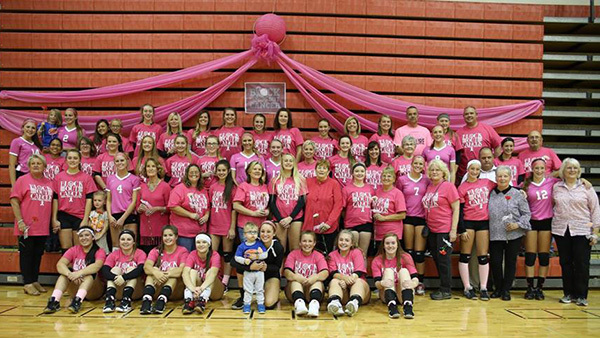 The Lady Red Hawks Varsity Volleyball team hosted a “Dig Pink” game in honor of breast cancer awareness on Tuesday, October 10. Athletic Director John Norton was happy with the results. This was the first year that the Volleyball team held the event. Prior to this, it was held by the Varsity football team. Clara Jo Gust, 94 of Cedar Springs, passed away peacefully Saturday, April 25, 2015 at Sanctuary at St. Mary’s. Mrs. Gust was born March 28, 1921 in Ovid, Michigan, the daughter of George and Nellie (Lockwood) Sillaway. She graduated from Cedar Springs High School, Class of 1939 as Salutatorian. She was a member of the United Methodist Church and had worked at Pollocks Department Store and the Red Flannel Factory. She was an avid golfer, bowler and bridge player. She enjoyed traveling and spending time in Florida, was a wonderful mother and had a special love for her grandchildren and great grandchildren. Surviving are her children, Gary (Lolly) Gust, Joanne Gust; son-in-law, Tom Finch; grandchildren, Jeff (Barb) Gust, Michelle Tackmann, Elissa Hughes & Mike Mondy, Zachary (Connie) Hughes, Zeke (Mandy) Finch, Brianna (Garry) Genao; great grandchildren, Jason, Brooke and Jacob Gust, Isabelle Tackmann, Afton Glynn, Elizabeth and Annabelle Finch; several nieces and nephews. She was preceded in death by her daughter, Beverly Finch; six brothers and sisters. The family will greet friends Tuesday, June 9, at 10:00 am until time of service at 11:00 am at the Bliss-Witters & Pike Funeral Home, Cedar Springs. Pastor Steve Lindeman officiating. Interment Elmwood Cemetery, Cedar Springs. Memorials may be made to the Susan G. Komen Foundation.